The Best Deal You'll Ever Get on Black Friday: From LitWorld! 1. Reach 100 Syrian mothers in a refugee camp in Jordan to become Read Aloud Ambassadors and give comfort to thousands of children living in dire circumstances. 2. Start new LitClubs in India, Peru, Nepal and Los Angeles, reaching thousands of children each week with the power of reading and stories. 3. Provide LitCamp to 500 new kids. 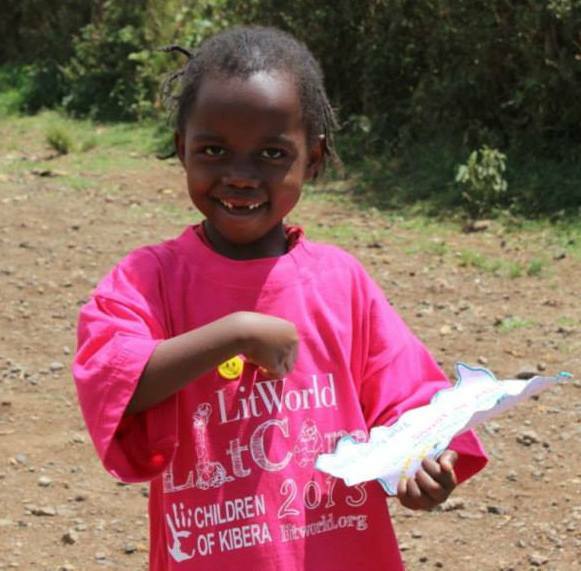 Help them experience the joy of reading and friendship in the world's toughest places. 4. Support 120 moms in Rwanda, Kenya and Haiti to empower their futures with literacy. 5. Give girls in our LitClubs two additional years of support so they can get to secondary school and college too. You and your friends and family can make a contribution in honor of a friend or family member for the holiday season. Donate at /give. Newer PostCelebrate #GivingTuesday By Sending a Child to LitCamp!